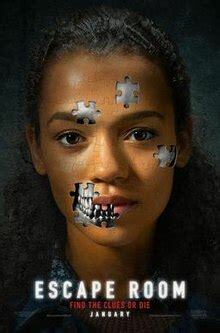 We are returning to our insights on the new movie from Columbia Pictures, Escape Room, and how it differs from a normal escape room experience. Escape Room follows six strangers who are invited to participate in a hyper-immersive escape room experience but are actually pawns in a deadly maze filled with traps and pitfalls. The movie has sparked some interesting questions from our customers. At Urban Escape Games, we have nothing dangerous or scary in any of our rooms. The doors are never really locked, and you don’t even need to fill out a pesky waiver. Our focus is on family friendly, HR-approved, fun! In the movie, there are a series of rooms that are all themed, but generally require only one or two puzzles to be solved. Those puzzles generally set in motion a deadly series of events and the only goal is to escape. In our escape rooms, your group or team will really have to work well together to solve many different puzzles in one themed room. Our rooms all require the teams to find an object and a four-digit code to ‘unlock’ the door and escape before the one-hour time limit is up. Just know at no time is the door officially locked as you can walk at any time. Contrary to the real movie where they were locked and with each theme someone was left behind. Where in the film the puzzles revolved mostly around simply searching for hidden items, our games require a bit more brain power and less physical challenge. You won’t be leaping, jumping, or crawling around looking for clues. You’ll be investigating items you find and working out how they go together by using great communication and teamwork. So call Urban Escape Games at 678-805-2189 and book your Escape Room or go to www.UrbanEscapeGames.com.